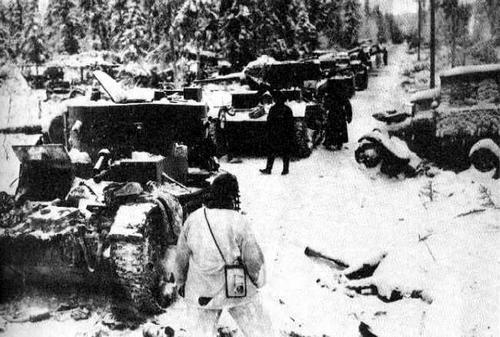 After breaking off diplomatic relations, the Soviet Union attacks Finland by land and air without declaring war. During the Red Air Forces first raid on the Helsinki, only 91 civilians are killed due the capitals excellent air defence system. Stalin alleges provocation. The Admiralty announces the completion of a 300 square mile minefield from Thames Estuary to the Netherlands. British civilian casualty figures for November: 4,588 killed, 6,202 injured. President Roosevelt announces increase in support to Nationalist Chinese, a $50 million loan. Japan finally resolves itself to attack the USA, although portions of the governments are still unsure. In Tunisia, Allied offensive halts between Tebourba and Djedeïda due to inadequate air power. Battle of Tassafaronga: US ships repulse Japanese off Guadalcanal with heavy losses on both sides. Air Surgeon Gen. David Grant appeals to nurses to train as flight nurses. US First War Loan Drive begins, runs through December 23, 1942. Poland puts commandant and guards from Majdanek concentration camp on trial. HMS Vanguard is launched at Clydebank, Scotland, the world’s last battleship to be launched. As Japanese advance in southern China, Chiang Kai-shek removes two army divisions from Burma to protect Kunming. Rudolph Hess causes consternation at the Nuremberg trials by announcing that he has been shamming insanity and amnesia all this time. Japanese forces in Indo-China surrender—final official surrender of troops in World War II. 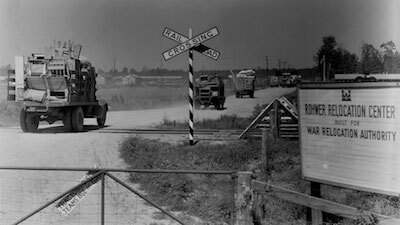 Japanese relocation center at Rohwer, Arkansas closes (final relocation center at Tule Lake, CA, will close March 20, 1946).